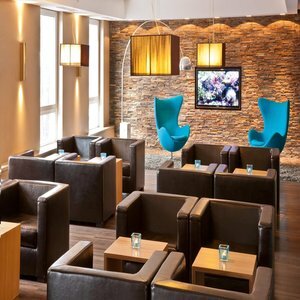 The German Institute for Service Quality named Motel One Berlin-Mitte the best budget hotel. This is a relaxing, spotless motel, with nice design touches and an airy feel. Excellent location on the former border between East and West Berlin. Reasonably priced rooms in a central location of Berlin make this an excellent choice for business or leisure travel. WIFI is reliable and free with purchase of breakfast. Friendly and helpful staff, free luggage storage, with quiet and safe rooms. Reception is open twenty-four hours. Delicious bakeries are within three minuteÃ¢â¬â¢s walking distance. Motel One Berlin-Mitte rooms are tastefully decorated, offering views of the city. Rooms have comfortable queen-size beds or double beds, flat screen TVs, WIFI, air conditioning and mobile workspace and chair. A five-minute walk from dozens of cafes in Kreuzberg's Oranienstrasse and a short walk down Marienstrasse to the canal front. Located at the top of Oranienstrasse, with clubs and restaurants. Guests may walk to the River Spree, see the remainder of the Berlin Wall, the Eastside Gallery, the 2002 World Arena and the Berghain club. Guests are also within walking distance of other attractions, such as Checkpoint Charlie and the Jewish Museum. Only three subway stops away from Alexanderplatz, three bus stops from Checkpoint Charlie and one S-Bahn stop to Potsdammer Platz. A five-minute walk from dozens of cafes in Kreuzberg's Oranienstrasse.